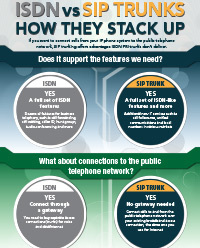 WHAT CAN VOIP DO FOR YOUR ORGANIZATION? 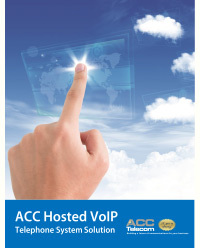 Our Hosted-VoIP-Cloud PBX solution is an all-inclusive business phone system delivering advanced features and phone service over your Internet connection. 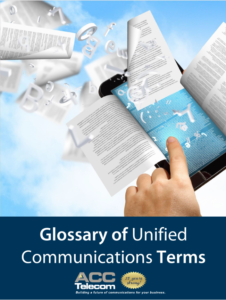 Specifically designed for organizations needing robust unified communication features without having to own or maintain a telephone system, companies are attracted to the flexibility of paying a recurring monthly service fee, based on size and usage, instead of purchasing or leasing an office phone system. 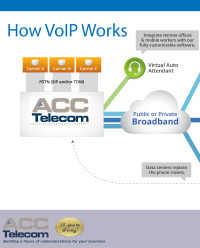 View our VoIP brochures below to learn more or contact us today for your free VoIP consultation and network assessment. 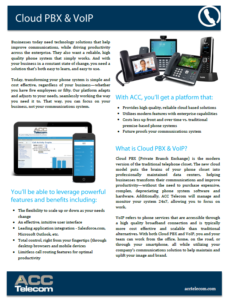 ACC Cloud PBX Reference Guide The Future is Here. Are You? 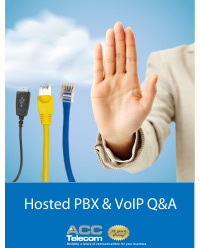 Cloud Hosted PBX and VoIP Solutions. 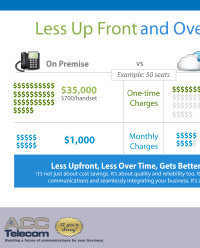 ACC Cloud PBX Quick Reference Guide What is a Cloud PBX? and how it will benefit your business. to an on-site phone system. 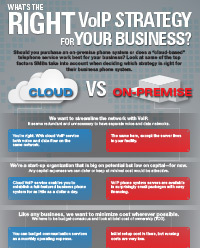 Learn more about our Cloud phone system. strategy is right for their business phone system. multiple calls from a single window. 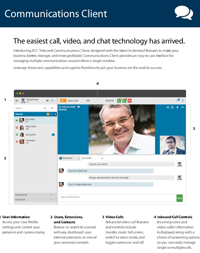 one-click button to join conference calls. 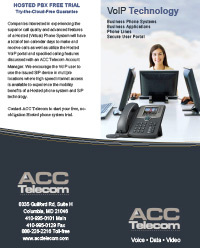 Design your VoIP business phone system your way. Choose the features and applications that work for your budget, with the ability to increase or decrease features immediately based on the needs of your business. Even though we are happy to manage your system for you, you also have the power to make changes online within your own personal portal. Change your greeting, enable call routing, monitor usage with call accounting, and much more. Communication between offices and remote workers has never been easier. With VoIP phone system technology, your offices and remote users are networked under one business phone system, saving both time and money. 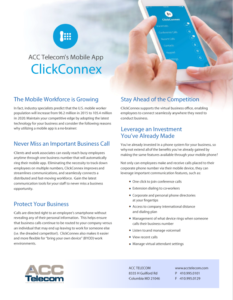 Manage your new business phone system anywhere, anytime. VoIP/Cloud telephony solutions offer users the freedom of mobility without compromising business communication features and applications. 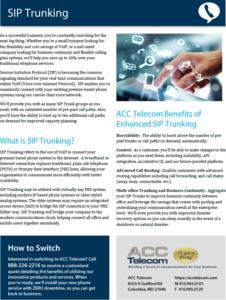 Most customers save upwards of 60% on their phone bill when switching to VoIP. Additional cost savings encompass minimizing onsite equipment, eliminating software upgrade fees, saving office space, reducing energy consumption, and networking office locations under one system. 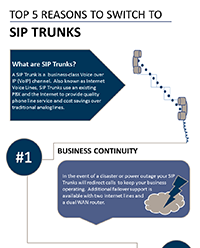 Contact us today for your free business VoIP consultation and network assessment.